Top Ten Tuesday is a weekly meme hosted by The Broke and the Bookish. 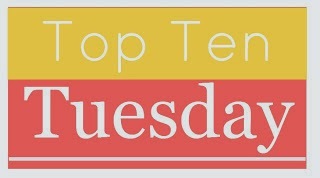 Each week features a book related topic that allows you to spotlight your Top Ten! I had to stop. This list could have gone on for a while. There are just so many wonderful books to look forward to in 2014! What is on your list? Rissi, The TTT are fun! I completely agree. It does sound like a fantastic follow up. The cover art is just beautiful!